Justice Ohimai Ovbiagele of a Benin High Court on Monday adjourned until October 13, ruling in a bail application filed by Aisosa Amadasun, the Edo Woman Leader of All Progressives Congress (APC) and four others, facing a N1.5 billion alleged contract fraud. The other defendants are: Adama Osabuohien, Prince Stephen Alao, Dove Momodu and Ali Sulayman. 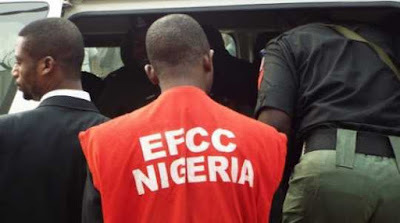 The Economic and Financial Crimes Commission, EFCC, on Ocober 5, arraigned the defendants before Justice Ovbiagele for allegedly using their offices while serving as board members of the Edo Universal Basic Education Board, to award contracts to their cronies after collecting money from them. After they all pleaded not guilty to the 50-count charge, the judge ordered their remand in Oko Prisons and adjourned the case until October 9 for the hearing of the bail application. At the resumed hearing on Monday, defence counsel, Candy Ohio, urged the court to grant his clients bail, and argued that his clients were charged on matters bordering on criminal offences and not capital offence. Mr. Ohio pleaded with the court to use its discretion to grant the accused bail. EFCC’s counsel, Harrison Ibekwute, however, opposed the bail application. He said the offences contravened Sections 98b (1) (a) (II) of the Criminal Code, CAP. 48, Laws of Bendel State of Nigeria, as applicable to Edo.